In yesterday’s post I set up the 3-way catfight between Rutskoi, Vorozhtsov, and Khasbulatov. But since then, in this exciting 24-hour news cycle, another cat has leaped into the fray! Apparently this story is growing more legs than a millipede on steroids! 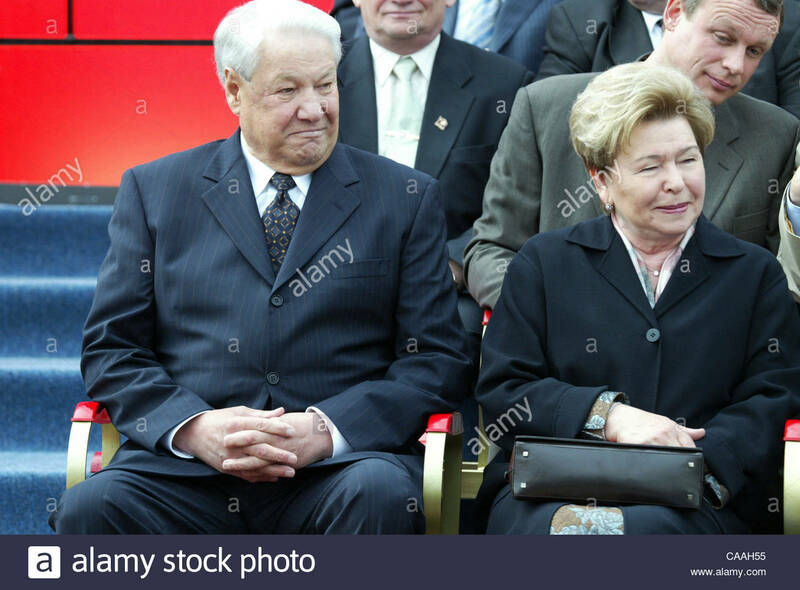 Cat #4 is none other than Yeltsin’s grieving widow, Naina Iosifovna Yeltsina, who rarely appears in public, but felt that she was duty-bound to defend the legacy of her late husband’s liver. I will get to Naina’s plaint after I finish with the three other contestants in this now 4-way donnybrook. But the gist of her utterances is a curse upon the likes of Khasbulatov and Rutskoi, who, she says, would have been afraid to lie so brazenly were hubby still alive. In the breaking news cycle I also have this new piece by Yury Zanaishev, which is Rutskoi’s refutation of Khasbulatov’s refutation of Rutskoi, but before I summarize the debating points of those two gentlemen, I have to tell the side of Vladimir Vorozhstov who, like Naina, defends the good Tsar Boris. For that I have this piece by Nikita Kovalenko and Liudmila Surkova. Yesterday now seems so far away, but had brought us this earlier piece, also by Nikita Kovalenko and Liudmila Surkova. Those two reporters must have been very busy, running around and getting reaction quotes from the various players. 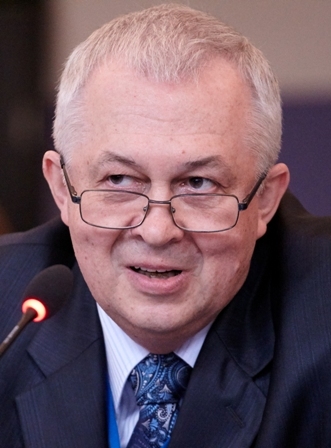 Vorozhtsov reacted angrily to Rutskoi’s allegations that Yeltsin planned to flee to the American Embassy and then went on a 3-day bender after putting down the attempted putsch. Recall the gist of the history-making conflict: Yeltsin and his team set out to dismantle the Soviet Union, overthrow the socialist economic system and implement a capitalist “democracy” in the Russian rump Republic. Once this plot became clear, a group of pro-Soviet patriot/conspirators made a stab at removing Yeltsin, but failed. During those tense days, not being able to see into the future, Yeltsin didn’t know if he was going to win or not. Failure would have meant arrest, at the very least, for treason. And life in a jail cell would have meant no booze, ever again. Oh horror! Recall that Major-General (retired) Vladimir Vorozhtsov was head of Signals for the Ministry of Internal Affairs and a member of Yeltsin’s team during those heady days. 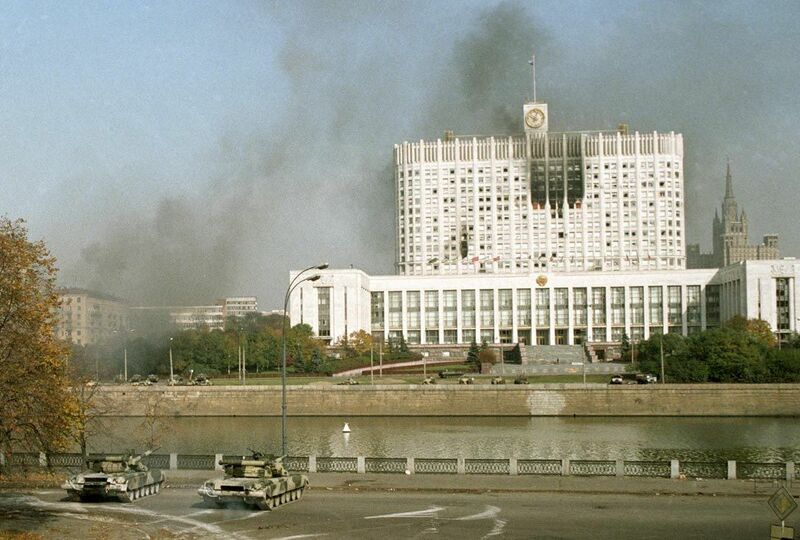 They were holed up in the so-called “Moscow White House“, the building of the Supreme Soviet, later, after the counter-revolution, the building of the Duma, or Parliament. “At any rate,” Vorozhtsov told the reporters seeking his reaction to Rutskoi’s claims, “I never noticed that Boris Nikolaevich was in an unstable condition at any time during those days of August 1991. At that time I was an expert on the Committee For Defense of the Supreme Soviet of the Russian Federation. I saw Boris Nikolaevich numerous times in the course of those days.” Then clarifying that he wasn’t at Yeltsin’s side 24/7, however saw him periodically. Asked why Rutskoi would say such terrible things, Vorozhtsov speculated that Rutskoi, who had flown off to Foros at the time (which I misspelled yesterday, in the Greek style, as “Phoros”) might have just heard rumors from his colleagues back home. Next: Rutskoi and Khasbulatov go at it, and Naina dives in. I’m sure he would have become a toilet wine sommelier. For sure Boris would have found a way!